Botox Treatments During Pregnancy: Harmful Or Safe? Botox during pregnancy is one subject we don’t talk, hear, or read about that often. One reason is that pregnancy brings along a natural glow, and another is that we immediately assume it’s dangerous. However, mums-to-be who are used to regular Botox treatments, usually continue considering them during pregnancy. And it’s only natural for them to worry if they’re dangerous while pregnancy or even breastfeeding. To settle this once and for all, we got down to the matter to find out the truth behind the downsides or perks of getting Botox treatments during pregnancy. And here’s what we found. There is no clinical studies on the matter so far, however, most doctors would advise you to be cautious during pregnancy and avoid any Botox treatments until after giving birth. A survey conducted in 2006 looked at the effects of botulinum toxin A (Botox) on human pregnancies, and couldn’t detects any negative effects. While a more recent study referred to the possibility of these powerful toxins to move beyond the injection parts in the body. 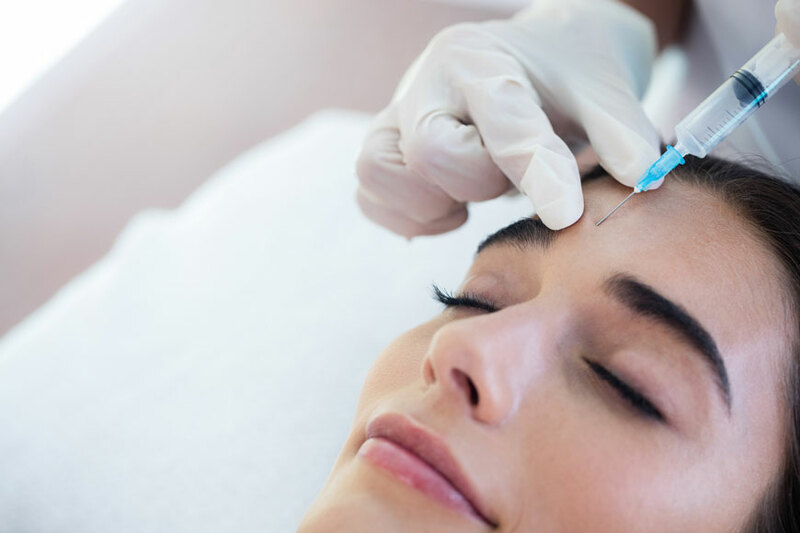 Which was reinforced later on by the Food and Drug Administration (FDA) when they added a warning that due to the possibility of the Botox moving or spreading from the injection area, it may hold risks of unexpected loss of strength or muscle weakness. A monograph on Botox also suggested the treatment may cause fetal harm. In clean words, Botox treatments might have a chance of harming the pregnancy or baby, so why the risk? As for mums who got the treatment before they found out they were pregnant, there’s no need to worry. As such small doses hold a minor to no risk on the baby. It’s known that all you ingest comes out in your breast milk, but does that include Botox? Again, because of the lack of formula studies on Botox and breast milk, there’s no definite answer. Meaning, professionals are yet to know if Botox can pass into breast milk. And even if you’re considering pumping and dumping to make sure there is no toxins in the milk, you might want to think again. Because unlike alcohol, which leaves the body in hours, Botox stays in the system for months, meaning this solution is not sustainable for the length of time it takes to breastfeed. Water is good not only for your health, but also skin, hair, nails. Almost everything. We can never rant enough about the importance of water. So make sure you drink lots and lots of water. Indulge in skin-healthy foods; leafy greens such as spinach and kale, are a great place to start. Because they have antioxidants that help repair damaged skin. Other healthy foods include fatty fish such as salmon, nuts, seeds, and avocados. Make sure you don’t exhaust yourself while pregnant, and get enough sleep. Sleep deprivation damages the skin, that’s why it’s called beauty sleep. Get your daily hours of beauty sleep. A healthy lifestyle is really a combination of all these factors. And exercising regularly reflects on your body, soul, skin, and mind. While pregnant, we would recommend going for yoga and pilates. And be more cautious with the weights and machines. Remember, you’re going through one of the most precious experiences in your life. Learn how to love your pregnancy, and it will reflect back on you.